Did Howard Carter steal from The Tomb? Howard Carter, the British explorer who opened the tomb of Tutankhamun in 1922, will forever be associated with the greatest trove of artifacts from ancient Egypt. But was he also a thief? This scene from Thebes in November, 1922, is considered archaeology’s finest hour. Howard Carter, renowned as the “last, greatest treasure seeker of the modern age,” had arrived at his goal. Carter obtained about 5,000 objects from the four burial chambers, including furniture, jars of perfume, flyswatters, and ostrich feathers — the whole place was a dream of jasper, lapis lazuli, and turquoise. He even discovered a ceremonial staff adorned with beetles’ wings. 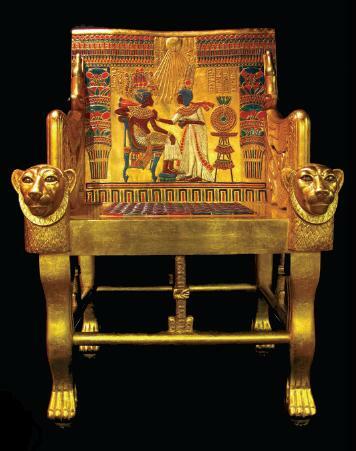 The “unexpected treasures,” as Carter described them, suddenly brought to light an Egyptian king previously almost unknown — Tutankhamun, born approximately 1340 B.C., who ascended the throne as a child. A statue shows the boy king with chubby cheeks and a delicate face. Tutankhamun later married his older sister and conceived two children with her, both born prematurely. The fetuses were found in small but magnificent coffins. The king died at the age of 18. An ardent racer — six of his chariots were also discovered in the tomb — who often went ostrich hunting in the Eastern Desert with his dog, Tutankhamun may have suffered a chariot accident and died of subsequent blood poisoning. Interest in the young Egyptian monarch remains high today. An exhibit of replicas currently on show in Hamburg has drawn 150,000 visitors to date. 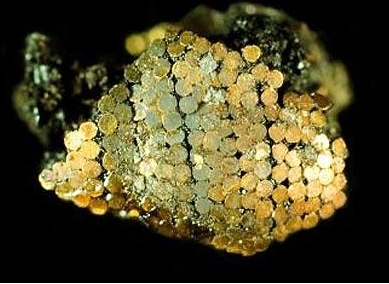 Nothing even nearly comparable has ever been recovered from these earliest periods of human culture. With 27 gloves, 427 arrows, 12 stools, 69 chests, and 34 throwing sticks, the sheer volume of objects is breathtaking. When Carter first opened the cavern, it still smelled of embalming oil. Lotus flowers and nightshade berries still rested on the coffins. It appears, however, that this isn’t quite true. Documents show that the hero of the tombs cheated on many counts, manipulating photographs, forging documentation on the discovery and deceiving the Egyptian Antiquities Service. The discoveries in that tomb set in motion a power struggle that has been only partially uncovered. Carter wanted to send as much of the treasure as possible to England and the United States. This plan quickly met with resistance. Egypt had been a British protectorate since 1914, but the administration of antiques lay in the hands of a particularly intractable Frenchman. In the end, Carter’s entire scheme went awry and the pharaoh’s golden treasures remained in Cairo, marking the end of an era of ruthless appropriation of cultural assets. Carter and his team went away empty-handed. Or at least, that was the official word. Secretly, however, the Carter team helped themselves, despite lacking authorization. 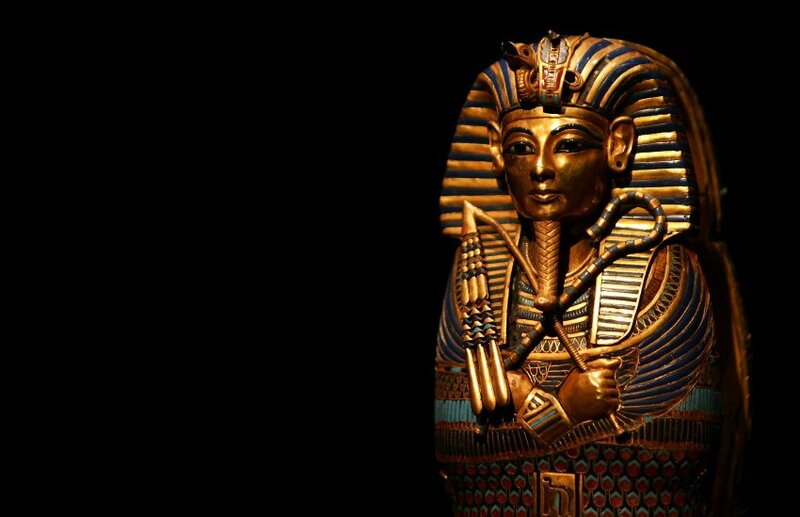 Objects in several museums have now been revealed to belong to Tutankhamun’s treasures. Forbidden treasures in the form of two golden hawk’s heads were also found in Kansas City. Examination revealed them to be part of a collar that had lain directly on the mummy’s skin, which was coated with 20 liters (5 gallons) of embalming oil. The jewelry broke when it was pulled away, and Carter collected the pieces to give as a present to his dentist. 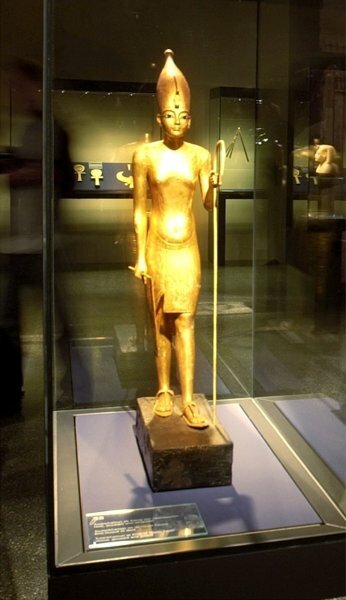 Objects of Tutankhamun’s have also wound up in Germany. 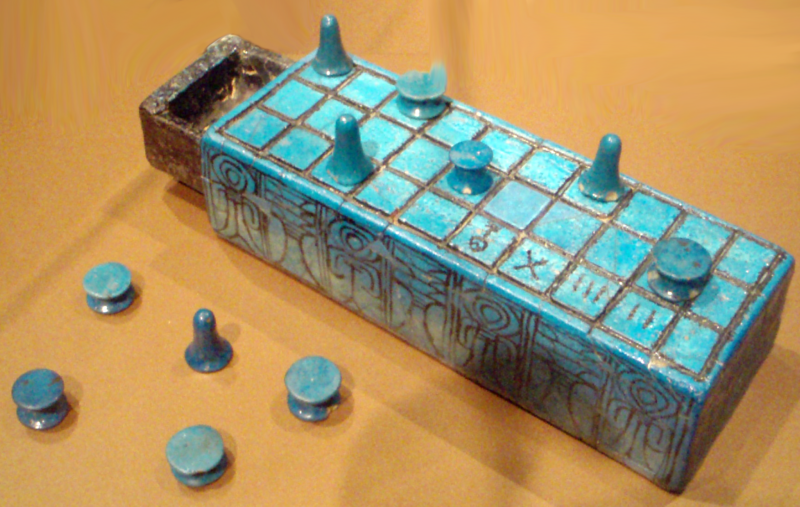 A museum director in the state of Saxony, who wishes to remain anonymous, confessed to SPIEGEL that he is in possession of several blue faience beads. “Carter pocketed them as the tomb chambers were being cleaned and later gave them to his secretary,” he says. 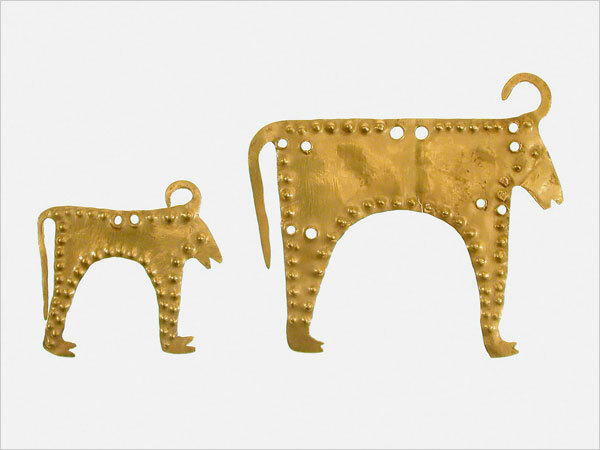 The museum director came across these dubious items through an auction house. Carnarvon himself was looking for a fresh supply of such treasures. He wanted “unstamped things,” he wrote from Highclere Castle to Thebes on December 22, 1922, meaning pieces without a cartouche containing a name, so that they would be difficult to identify. Carter was only caught in the act once. 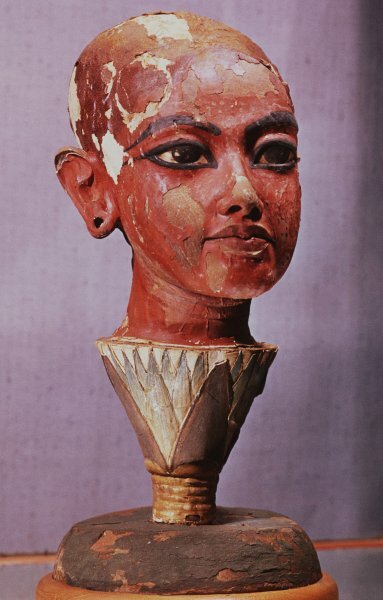 He’d slipped a painted bust of the young pharaoh into a side chamber, without a registration number. Inspectors discovered the bust, a “masterpiece of antique sculpture” in Hoving’s words, in a wine crate. The archaeologist talked his way out of the situation, and the scandal was never made public. Most of the time, Carter’s subterfuge worked. A series of mostly small objects disappeared. Who stole what when — and where the pieces ended up — remains one of Egyptology’s greatest mysteries. 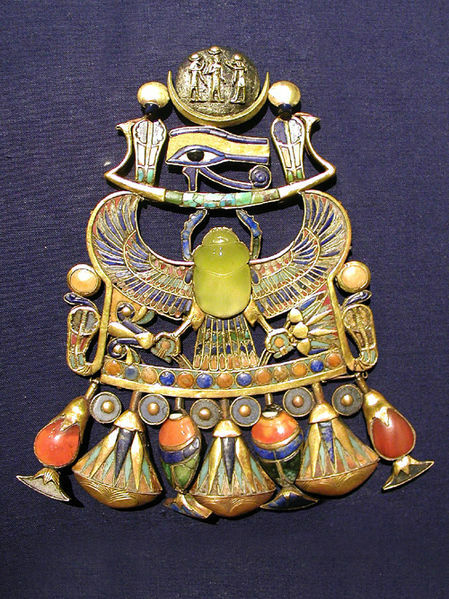 What’s known for sure is that the Metropolitan Museum of Art alone contains around 20 objects presumed to have originated from KV 62, Tutankhamun’s tomb. 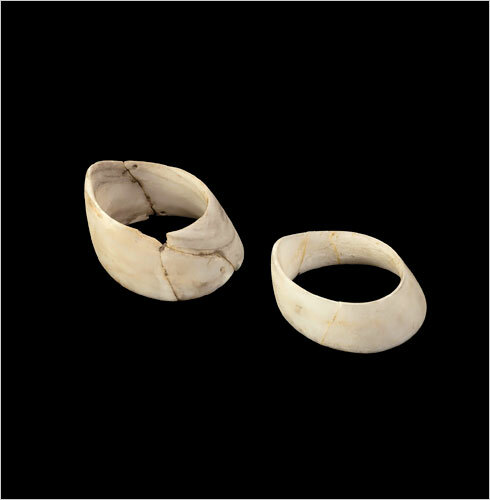 These include a small dog made of ivory, a gazelle, rings, a splendid painter’s palette, and even two silver coffin nails. “Nobody likes to talk about these unpleasant things,” explains Loeben, the Egyptologist. In England, Carter is known as a brilliant counterpart to Heinrich Schliemann, the German archeologist who excavated ancient Troy. That Carter earned his money through antique dealing, though, is normally hushed up. The most recent allegations go further. Carter is said to have fudged archaeological facts, leading generations of researchers astray. The focal point of the criticism is Carter’s theory that the tomb had been looted multiple times in antiquity. Thieves broke into the sanctuary “immediately following the burial rituals,” Carter wrote. 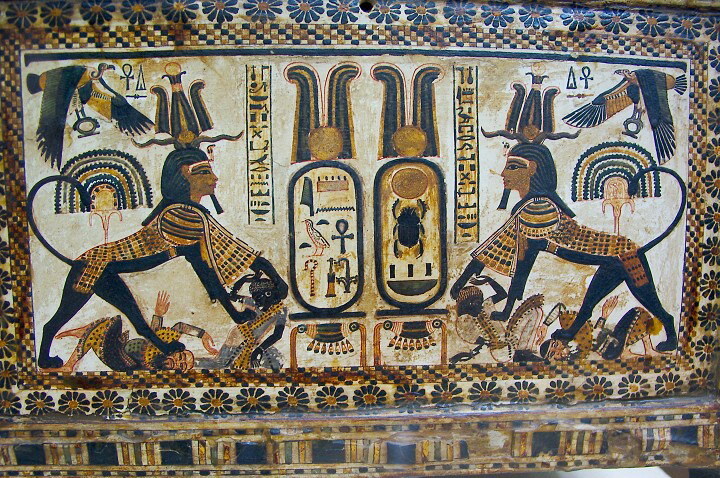 Backed up by corrupt necropolis officials, they ransacked all the tomb’s chambers, he claimed, and other bandits later came and stole cosmetic oils. Carter described the robbers’ destruction in vivid detail. 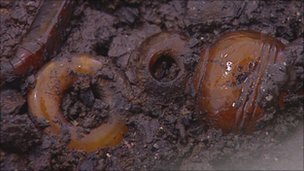 Chests had been rifled through and stoppers pulled from alabaster vases and thrown to the ground, he said. 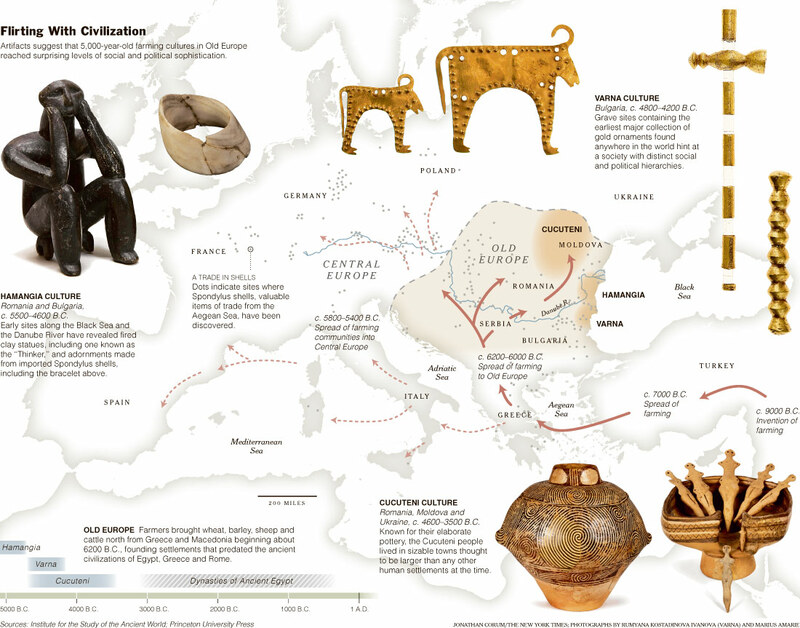 The robbers had torn ornamentation made of precious metals from the furniture and chariots, as well as stealing a 30-centimeter (12-inch) solid gold statue. That scenario represents the prevailing opinion today. 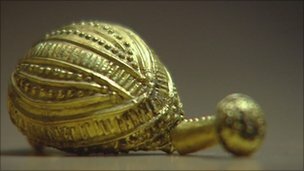 In his standard work “The Complete Tutankhamun,” British Egyptologist Nicholas Reeves accepts the figure that 60 percent of the tomb’s small ornaments and jewelry were lost. But is it true? No independent witnesses were present when Carter first entered the tomb. It’s also clear that he lied on at least a few points. Alfred Lucas, one of Carter’s employees, revealed that his boss secretly broke open the door to the burial chamber himself, afterward relocking it with deceptive authenticity using an antique seal, to hide his transgression. That report appeared in 1947, but only in a little-read scientific journal in Cairo. Hardly anyone took notice. Hoving’s revelations in the 1970s similarly attracted little interest. Many saw him as fouling the nest. Feeding these suspicions are articles 9 and 10 of the excavation license, which allowed goods from a tomb to be contractually divided up only if it had been previously robbed. If a pharaoh’s tomb was found intact, all its contents would go to Egypt. “Under these conditions, it’s clear the discoverers must have tried construe the state of their find in their favor,” is Krauss’ analysis. This casts a dubious light on the man considered a leader in his field. The son of an artist known for his portraits of animals, Carter arrived in Egypt in 1891, when Victorian-era colonialism was at its height. 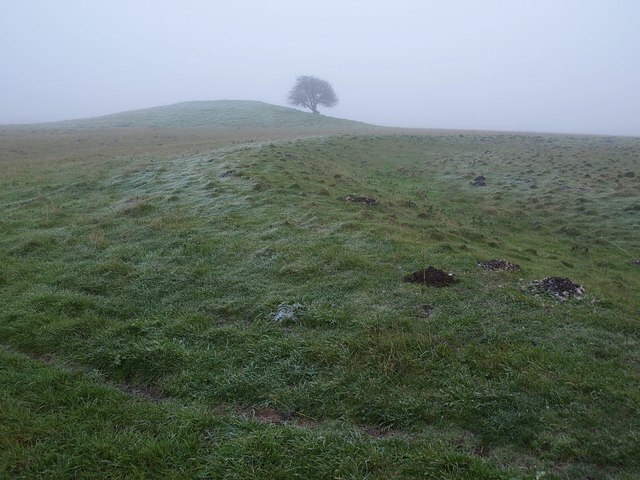 The young man developed a knack for finding hidden burial chambers. Before hitting it big with Tutankhamun’s tomb, Carter had already found three other royal tombs — all of them empty. He liked being connected to the powerful, working intermittently for American millionaire and amateur archaeologist Theodore Davis. The young Carter was somewhat awkward in his personal interactions. After coming to blows with some French tourists, he lost his job as inspector for the Egyptian Antiquities Service. Carter was stubborn and hot-tempered, Hoving says, adding, “Few people could be around him for an extended period without being driven up the wall.” But his knack for finding tombs is undisputed. Starting in 1907, Carter began his obsessive pursuit of the child pharaoh whose corpse had never been found, hunting every possible clue. Eventually he defined a triangle in the Valley of the Kings. The untouched sanctuary would be found there, he believed, somewhere under the mounds of detritus. Carter quickly found a sponsor for the plan, although dozens had failed before him in the same pursuit. Lord Carnarvon was in poor health after a serious car accident, but the nobleman dandy, who had once circumnavigated the globe, had a mania for eerie shrines to the dead and embalmed mummies. Carter didn’t have an easy time either. Oppressed by the heat and buffeted by dusty winds, he urged on a team of local laborers. One unsuccessful season followed another. After four years, the group was only a few centimeters from the discovery site. Suddenly, though, the boss withdrew his workers and continued the dig elsewhere. There is a strong case for the theory that Carter had tracked down the entrance to the tomb at this point, but kept silent for tactical reasons, keeping a trump card up his sleeve. It can be said, at the very least, that when Carnarvon wanted to cut off funds in the summer of 1922, things moved surprisingly fast. Carter returned to Britain and begged for financial backing for one last campaign. Hardly had he arrived back in Thebes, or so runs the legend, when an assistant dashed into the excavation tent and reported a sensational find — a buried set of stairs leading down to a sealed door. Was there intrigue behind this announcement? A half brother of Lord Carnarvon thought so. He claimed Carter had crept secretly into the underground chambers three months before. Then he waited more than two weeks, ostensibly without taking any action, for his chain-smoking sponsor to arrive. Carnarvon traveled to Luxor by ship, railroad, and steamboat on the Nile. 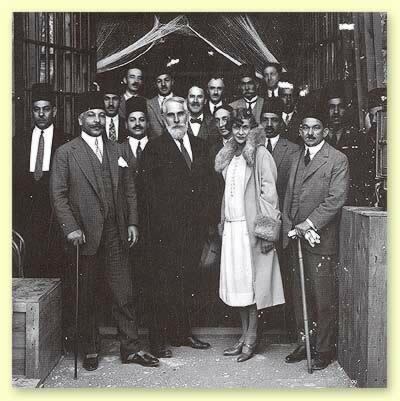 Together with his daughter Evelyn, then 21, he alighted at the glamorous Winter Palace Hotel and rushed, having barely slept, to the Valley of the Kings. Not until then did the men open the sealed door, whose mortar showed clues of a previous break-in. Behind it lay a corridor filled with rubble. By afternoon on November 26, the workers had removed the debris and exposed a further walled-in doorway. Carter managed to clear a peephole in the blockade, and caught a glimpse of the “wonderful things” in the antechamber. Again and again, authors have attested to this “solemn moment,” in which the archaeologist looked in on that “eternal place,” dazzled, spellbound, awed — yet managing to keep his head. Then, according to the excavation leader, he stopped, in order to notify the Egyptian inspector general as duty required. All that is a lie. What really took place can be gathered from a report — to this day never published, but studied in detail by Hoving — that Lord Carnarvon wrote shortly before his death. Instead of waiting dutifully as regulations required, the party forced its way through the narrow opening right away. Using tallow candles and a weak electrical lamp, the interlopers first entered the antechamber. Golden beds and beautifully carved chairs were piled up in the narrow room, as well as gaming tables and precious vases. Oval basins held food for the dead pharaoh. Animal figures shone from the posts of gilded litters, monstrous in the weak cone of light from the lamp. The explorers moved chests, trampled brittle woven baskets, and pocketed perfume jars, opening chests in the side chamber as well. But the most important question remained: Where was the mummy? At last the intruders discovered another bricked-in entranceway, framed by two life-sized black sentinels. Although being found out would have cost them their license, the group broke blocks of stone away from the door. And everyone pushed their way through. Now they stood inside the room with the four gilded wooden shrines, each inside the next, with four coffins nested inside. In the innermost of these lay the mummy, with a beaded skullcap on its shaved head. Carter rattled the outermost door and the hinges sprang open, creaking. It wasn’t until yet another seal obstructed his progress that he paused, with a shiver. The negative scientific consequences of those nighttime misdoings are still felt to this day. No one knows how the tomb really looked in its untouched state. Carter always attributed this to the barbarism of ancient thieves — but the chaos in the tomb could just as well have been caused by Carter himself. In any case, he exaggerated the damages, asserting for example that seals were already broken off the jugs of wine. But where, in that case, are the remains of those seals? 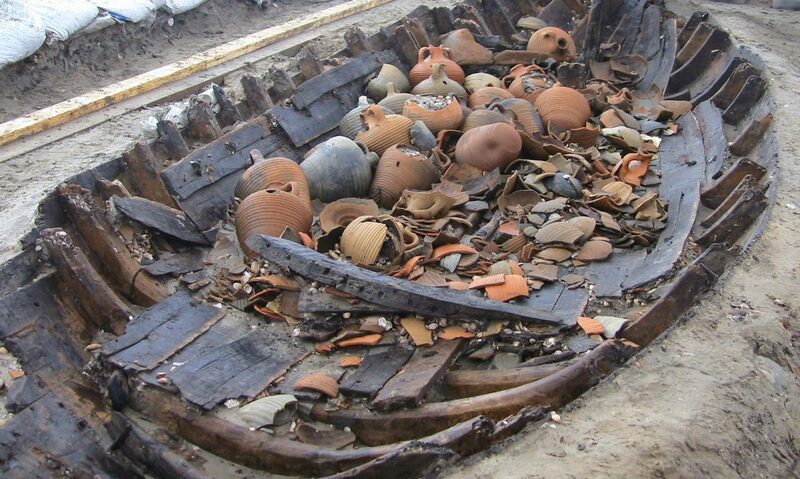 Carter also claimed that objects had been stolen out of the chests. “But that can’t be substantiated using the content labels attached to the chests,” Loeben says. Thus the suspicion remains that the tomb’s discoverer systematically lied and misled. 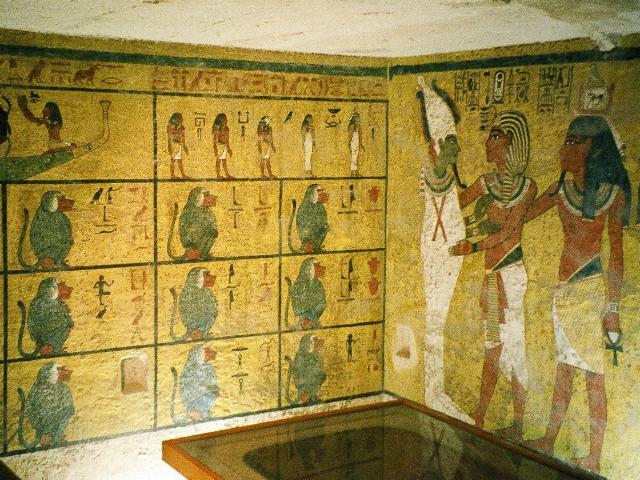 He wanted to present Tutankhamun’s tomb as already defiled, hoping in this way to obtain permission to remove half of the finds from the country, in accordance with the license agreement. That the British explorer left empty-handed after all had to do with Carnarvon’s untimely death in April 1923. With Carnarvon went the excavation license, and the cards were reshuffled. Even the US State Department intervened — on Carter’s side — in the political and legal tug-of-war that ensued. In the end, Egypt won. Carnarvon’s heirs received £36,000 (about $137,000 at the time) in compensation for costs incurred by the excavation. 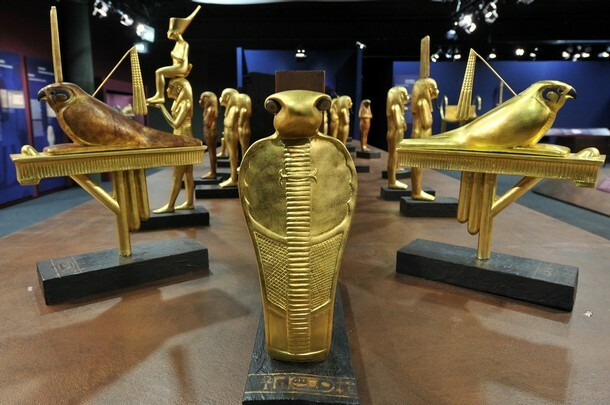 It can hardly be denied any longer that antique dealer Howard Carter grabbed Tutankhamun’s valuables and helped himself to artifacts from the 3,300-year-old tomb. The details of the swindle, however, have only come to light in bits and pieces. 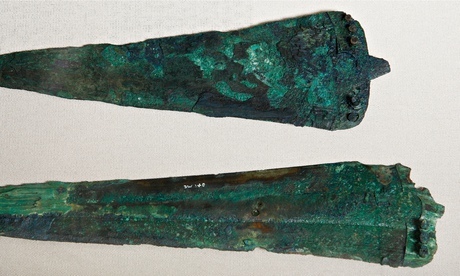 Carter’s theory of grave robbery in ancient times has also lost most of its clout. It has become increasingly clear that his arguments are often based on exaggerations — or are simply nonsense. The British archaeologist claimed, for example, to have discovered “the very footprints of the last intruder” on a white bow case. 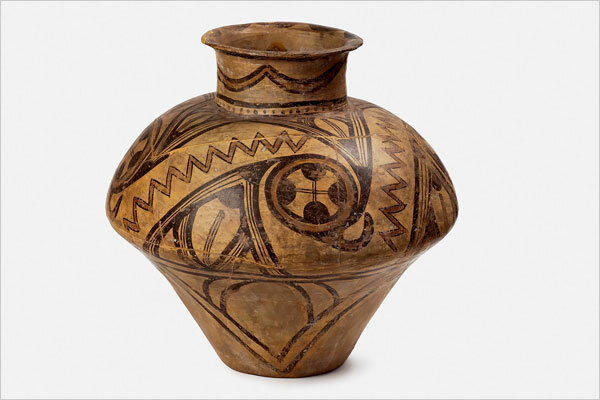 The striking designs of their pottery speak of the refinement of the culture’s visual language. 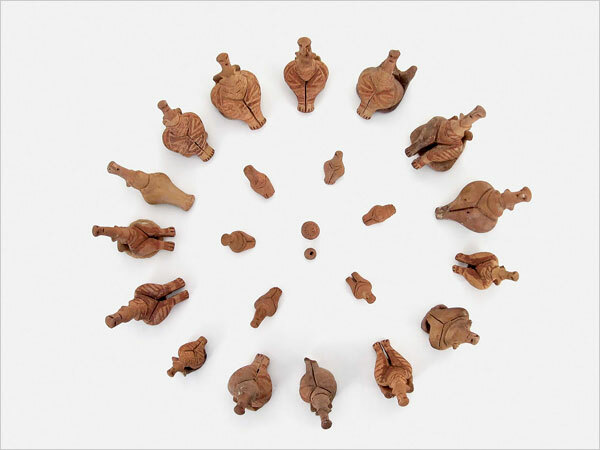 Until recent discoveries, the most intriguing artifacts were the ubiquitous terracotta “goddess” figurines, originally interpreted as evidence of the spiritual and p olitical power of women in society. 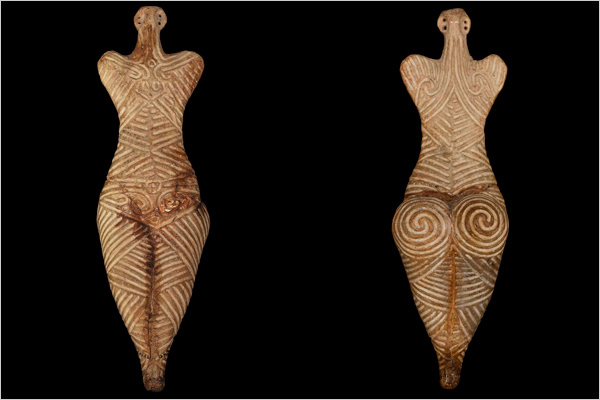 A few towns of the Cucuteni people, a later and apparently robust culture in the north of Old Europe, grew to more than 800 acres, which archaeologists consider larger than any other known human settlements at the time. 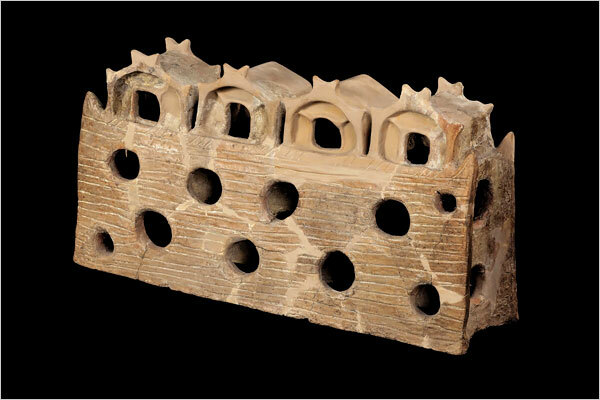 But excavations have yet to turn up definitive evidence of palaces, temples or large civic buildings. 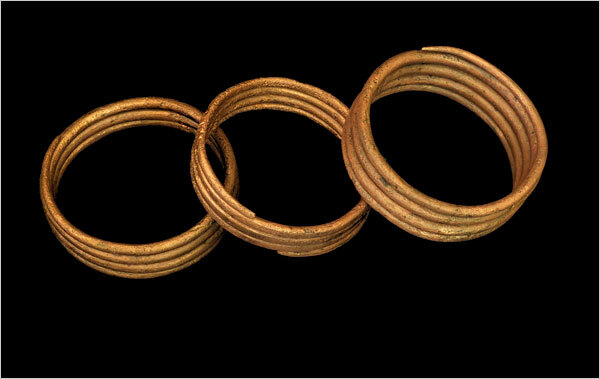 Archaeologists concluded that rituals of belief seemed to be practiced in the homes, where cultic artifacts have been found. 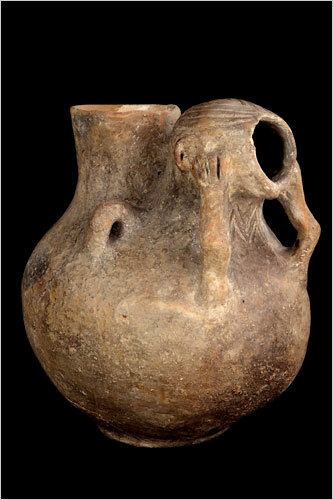 “The household pottery decorated in diverse, complex styles suggested the practice of elaborate at-home dining rituals. Huge serving bowls on stands were typical of the culture’s “socializing of food presentation,” Dr. Chi said. 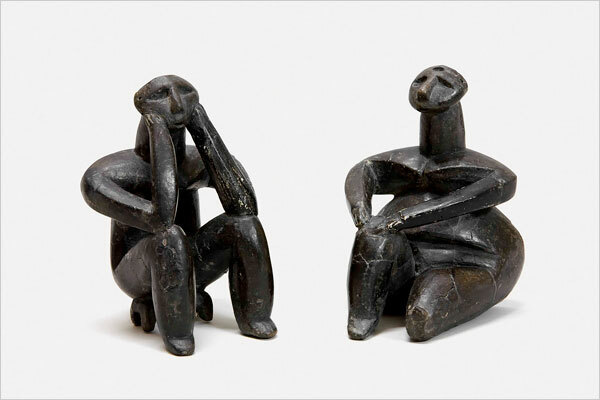 As Dr. Bailey wrote in the exhibition catalog, the figurines should perhaps be defined only in terms of their actual appearance: miniature, representational depictions of the human form. He thus “assumed (as is justified by our knowledge of human evolution) that the ability to make, use and understand symbolic objects such as figurines is an ability that is shared by all modern humans and thus is a capability that connects you, me, Neolithic men, women and children, and the Paleolithic painters in caves.” Or else the “Thinker,” for instance, is the image of you, me, the archaeologists and historians confronted and perplexed by a “lost” culture in southeastern Europe that had quite a go with life back before a single word was written or a wheel turned.